The Montessori Compass team is very happy to provide free web-based access to a sophisticated and comprehensive Montessori Scope & Sequence (Infant – Age 12), developed in collaboration with Tim Seldin and the Montessori Foundation team. 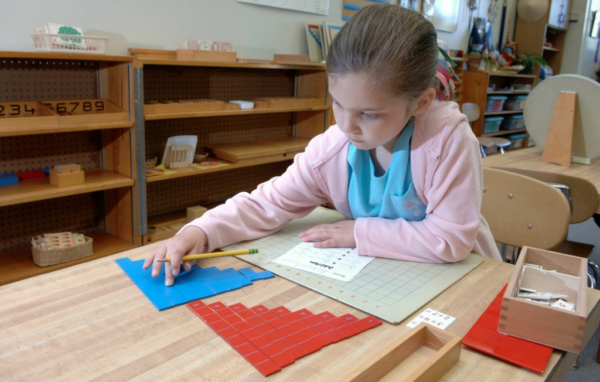 Nearly 3000 Montessori lessons have been carefully organized into ten curriculum categories. This Scope & Sequence is not intended to be a “one-size-fits-all” checklist of lessons. Our goal is to equip Montessorians from all around the world with a resource that is both useful and adaptable, while staying true to the Montessori Method and its traditions. Lessons/materials are tagged to the appropriate cycle years and are paired with very specific measurable learning objectives. These measurable learning objectives (also known as elements) help to simplify the process of accurately recording a child’s activity in the Montessori classroom. Optimized for use in the Montessori Compass online record keeping system, MC subscribers can easily customize the curriculum to meet the very specific needs of their respective Montessori classroom. When used within MC, many lessons/materials also include parent-centric descriptions and photos designed to help parents at your school to gain greater insight into their child’s Montessori education. This collaboration has also yielded a comprehensive mapping to the United States Common Core State Standards (CCSS) for both Mathematics and English Language Arts (Kindergarten through Grade 6). Please click here to learn more about the Common Core Standards Mapping. Sensorial | Visual Discrimination (Size and Dimension ) | Pink Tower | Uses smallest cube to indicate unit of difference. Please note that while the Montessori Scope and Sequence is provided as a starting point for new Montessori Compass subscribers, we understand that each school may have its own unique needs. MC makes it easy to customize curriculum any way you see fit. You may edit existing lessons, add your own custom lessons, and even import an entire custom curriculum. *The Montessori Scope & Sequence and CCSS mapping is licensed for exclusive use within the Montessori Compass online record keeping software. It is not available to be printed or downloaded. Visitors are welcome to view this information on our website, displayed in an “online magazine” style format.